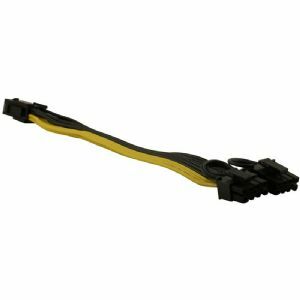 This non retail packaged PCIe (PCI Express) 6 pin to dual 8 pin (6 + 2) power adapter cable is 24cm in length including connectors, which are black in colour. 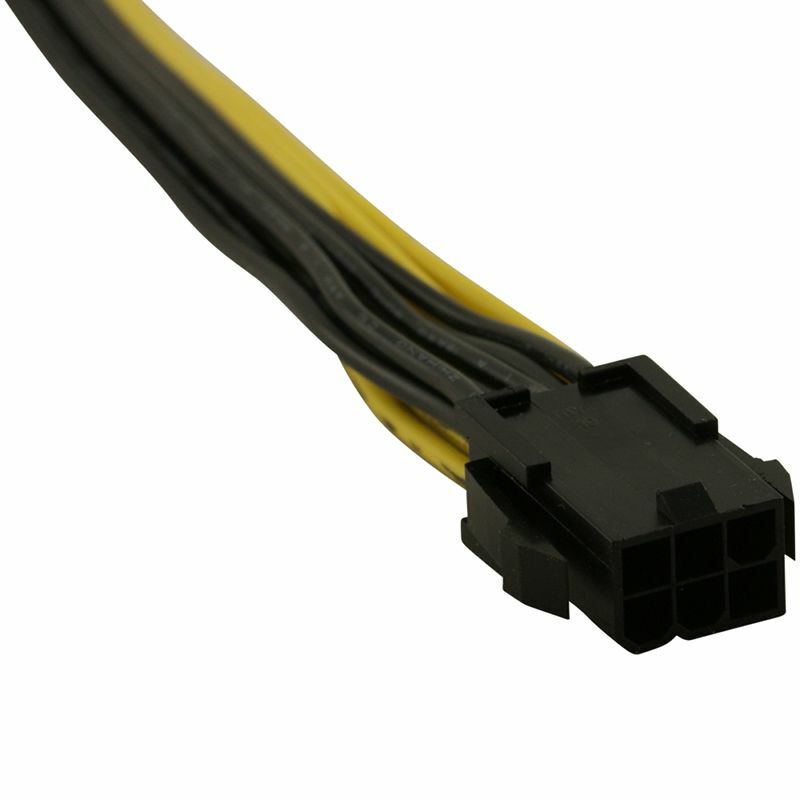 Used to supply power to a graphics card, this cable has a 6 pin connector (male) at one end with dual 8 pin (6 + 2 female) connectors at the other, which is very useful for NVIDIA SLI or ATI Crossfire graphics cards. 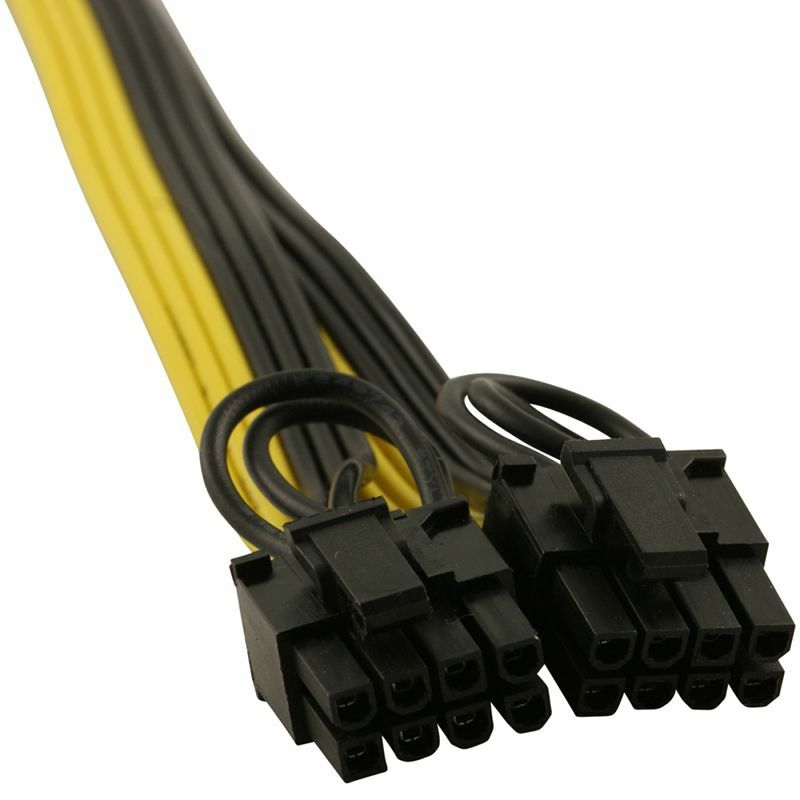 The cable can also be used as a 6 pin extension/splitter cable if the 2 pin section is not connected. 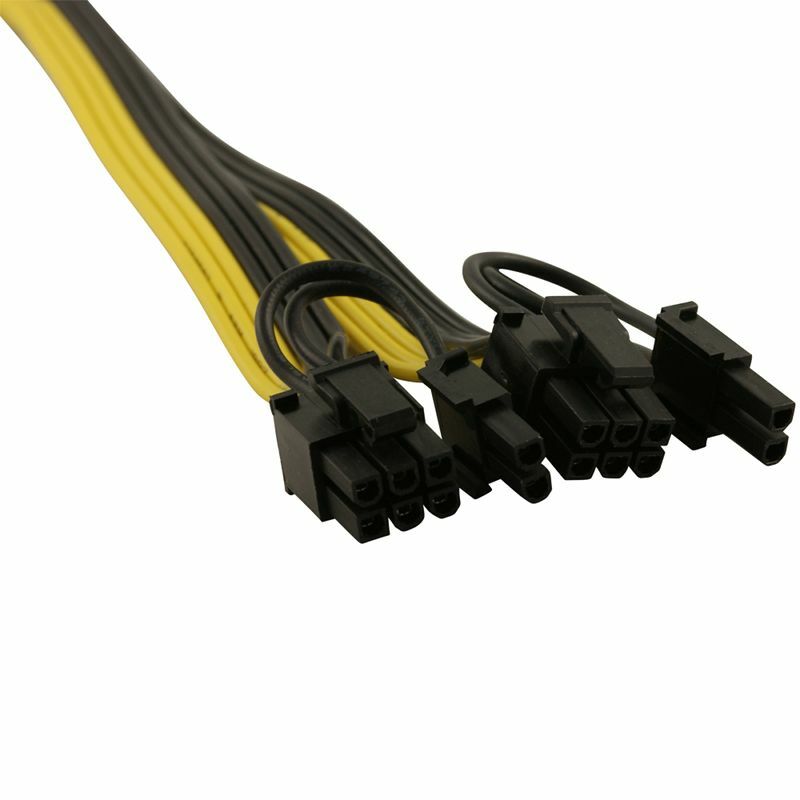 Please note that the assembly method used for this cable is the flat ribbon type, with the individual cables joined together, which can be seen in the pictures above. This cable will be posted using the Royal Mail 1st class delivery service.